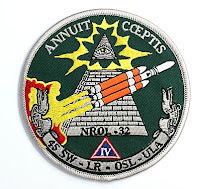 The NROL-32 spy satellite was launched in November of 2010. You can Google NROL-32 launch, and see that all of the media covered the launch after it had taken place. I believe this is because the United States didn't want the launch to be compromised, and they probably considered it a matter of national security. No one really knows what the spy satellite's capabilities are, but one thing is for sure, they would rather you not know about it all together. Its obvious that this payload or satellite has the purpose to spy on people both in the United States and abroad, but can it do something to further breach our rights and liberties? I could not tell you, and neither could 99% of the people that reported on it. Another interesting thing to note is that NASA had nothing to do with this launch. NASA is the United States space program that is under the public eye, you should know that their is another space program that does things that the United States doesn't necessarily want the public to know. This program is called the ULA (United Launch Alliance). In conjunction with the United States Air Force, the ULA launched Delta IV with the NROL-32 payload into the Earths orbit. Could this be a form of weapon? Only time will tell. One thing is for sure, they spent years working on this payload to shoot it into orbit. Some of the problems they encountered was the weight of the payload. It takes a lot of hydrogen fuel to get all of this weight into orbit. This is why the spacecraft had 3 hydrogen fueled engines, just so that it could carry the new satellite. That totals to about 3,000 pounds of thrust. Bruce Carlton the NRO project director of the Delta IV, is quoted as saying that it is the largest satellite in the world. 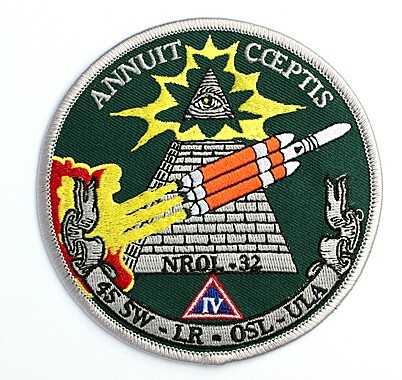 The picture above is what the patch looks like for the project. Looks like a secret society is in charge of this one. Hopefully the United States uses this power for good, and not to take away more of our rights and liberties. If you think I have left anything out please leave a comment.